Sometimes running a music blog you get swamped in material. Most of which gets lost and never heard which is quite sad really. From time to time I like to search my iTunes for band names that keep cropping up on my radar and low and behold Big Deal was already there in my library yet I had still never really listened to them before. So today I finally took the time out to check their debut album 'Lights Out' set for release Monday 5th September via Mute Records. I'll first get the comparisons out of the way. 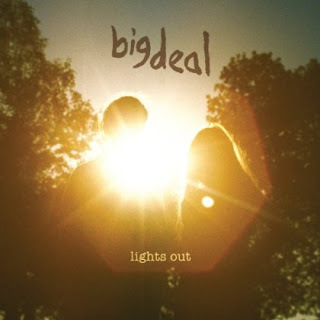 Everyone hates comparisons and I am no different but I can't help but think of a slightly more hard hitting Slow Club when I listen to Big Deal. 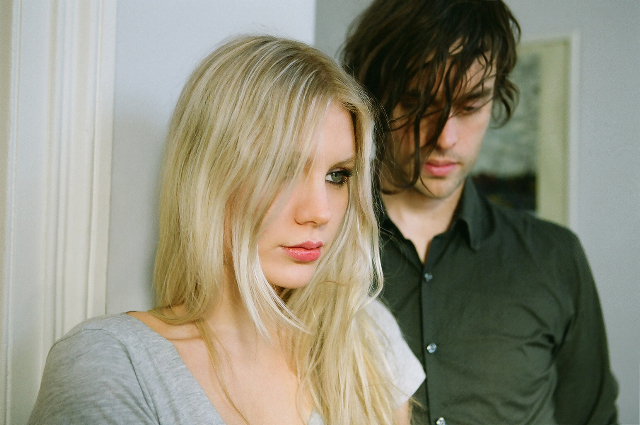 Another boy/girl duo who make the same stripped back, teen-angst filled guitar music that echoes throughout Big Deal's debut. Lights out is by no means another copy taken from the 'boy/girl duo' mold though. It is hard to sum the album up in one word with its unique diversity and raw edgy feel. Tracks like 'Distant Neighborhood' 'Chair' & 'With The World At My Feet' bring a sense of uplifting misery if there ever be such a thing. Playful melodies with heartfelt lyrics form a moving combination. The tempo starts to slow with 'Swoon'. A strummed out acoustic track that carries its rhythmic momentum throughout only breaking down in places to allow Alice Costelloe's soft voice to reach out and grab the listener with its ice cold touch. A brilliant set up for 'Homework'. A song about loss and overwhelming thoughts of love and despair. Another favourite and stand out track is the ever so powerful 'Talk'. I'm sure everyone can relate to the lyrics "All I want to do is talk, But seeing you fucks me up". Lights Out finally rounds to a close with 'Pi'. It's here the emotions really hit home. Ever so soft and peaceful. Almost laying the album to rest. Its stripped back appeal provides an intimate experience, ever so delicate. It would seem the album is very much centered around relationships and how the youthful mind portrays the encounters of love and having to let go. Big Deal have a lot to offer. Stories of torment and unrewarded lusting.A brilliant debut. One full of surprises and beauty.